The SR Education Group publishes the annual list. 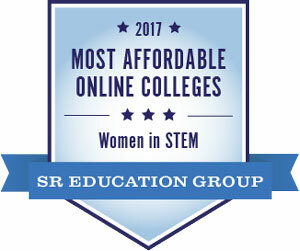 Texas Tech University has been named the Most Affordable Online College for Women in STEM, according to the SR Education Group's 2017 rankings. With an annual tuition rate of $6,480, Texas Tech costs significantly less than other online degree programs. The university ranked second costs $8,625 per year – Texas Tech students pay only three-fourths of that – and the average rate of the ranked schools is $12,207, nearly twice as much. 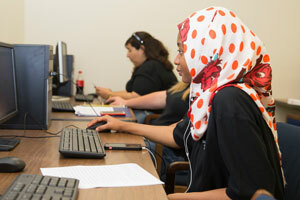 "Not only do Texas Tech University's online programs offer high-quality courses and degrees from the same faculty teaching in our campus-based or traditional programs, but because of our reasonable tuition, we are more affordable than many of our peer institutions, which makes online education at Texas Tech an incredible value,” said Justin R. Louder, associate vice provost for Worldwide eLearning. The SR Education Group's study uses the definition of STEM fields provided by the National Center for Education Statistics, which includes agriculture and natural resources, architecture, biology and biomedical sciences, computer and information sciences, engineering and engineering technologies, health studies, mathematics and statistics, and physical and social sciences. To be considered for the list, schools must offer 10 or more online STEM degrees at the bachelor's level or higher. Annual tuition numbers for these schools were manually researched and represent the bachelor's degree level, if the school offers at least one online bachelor's degree, or the master's degree level if the school offers at least one master's degree and no online bachelor's degrees. Out-of-state tuitions were used unless in-state tuition is offered to all online students. Tuition was calculated assuming full-time status. Bachelor's programs were assumed to require four years to complete and master's programs were assumed to require two years. Texas Tech offers more than 60 online educational programs, as well as a comprehensive student support portal and 24/7 phone assistance for online students. It offers a large number of online degrees, including undergraduate minors and majors in subjects such as wind energy and biology, as well as master's and doctoral degrees in subjects such as mechanical engineering and technical communication and rhetoric. Its STEM Initiative Index lists and promotes every STEM-related university activity. Headquartered in Kirkland, Washington, the SR Education Group was founded in 2004. The company's mission is to create authoritative online resources for students seeking an online education program that best suits their budget and career aspirations. The SR Education Group is passionate about making quality education attainable for everyone and believes objective information about education, careers and educational financing should be free and easily accessible. For more information, visit its website.